We use the power of digital marketing to grow your business. We are making an impact in Charlotte, NC and 30 other cities and towns. Let’s add your city to the map! We work one on one with you to make your business more profitable. A professional logo will attract customers, build trust, make you stand out from the competition, and help your business grow. Our skilled team designs and develops dynamic, engaging websites that always result in customer satisfaction! Does your business have an effective digital marketing strategy? Send us an email to schedule a free consultation! Stop worrying about coming up with new posts every day and start seeing increased website traffic and revenue. We will help you develop an email database, design a branded email template, and send effective, engaging emails. Impress your customers with social media graphics, marketing materials, business cards, invoices, and more! We will write engaging content for your website, social media, and other marketing materials. We will update your website quickly and affordably. SEO is a valuable business investment. We utilize the latest SEO tactics to help more people find your website! We offer professional photography services for clients who are located in North Carolina and South Carolina. Videos are an excellent way to reach, educate, and engage potential customers. You save money. We do all of the work. Our frustration-free web hosting package includes an SSL to make your website secure. Most websites are accessed with smartphones, so we design every website to look good and function properly on all screen sizes. Are you ready to grow your business? Contact us for a free consultation. We look forward to hearing from you! Big help at a reasonable price! Miranda Hebert and Local Impact have helped Parents Guide to Cord Blood Foundation by creating graphics, building explainer videos, and designing and executing promotional campaigns on social media. Even if you already have a successful website, this type of support can take your outreach to the next level. Local Impact gives high return on investment. Miranda did a great job on the website for our church. Very quick to respond and very helpful. I am very pleased with the work Local Impact has done. I will recommend them to anyone who needs a website. Very pleased! I loved it!!!! She is amazing!!! � I loved the logo she did for me. Miranda and her team at Local Impact have been wonderful to work with. Their response time is fast. They took my ideas and brought out website to life. Pricing is fair and continued support is super! Above all else, it's fun to work with Local Impact. They are a local company just like us so I'm never lost the mix. They Rock! I am very pleased with the work Local Impact has done. Late last year before Christmas, I began my search for a new Website Design/Creative company to help take my website to the next level. 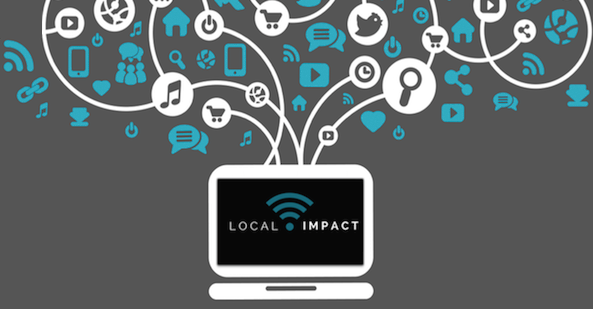 Local Impact came highly recommended by a local graphic design company. We have been working together every since. Miranda and her team have helped me to take Pollynation Apothecary website to the next level. She is very personable, thorough and desires to help your business be succeed. We will create a custom plan for your business at an affordable rate!